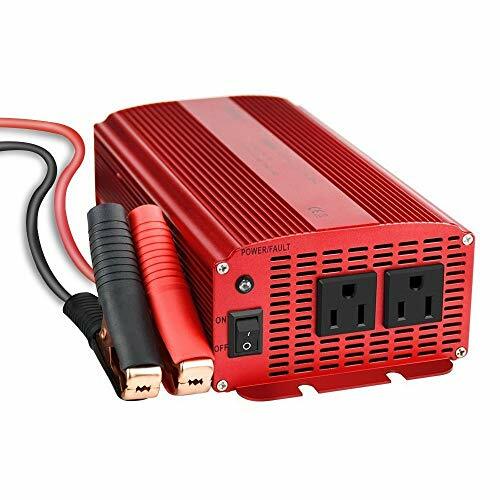 Designed as a portable power inverter with high performance to power up multiple loads and major household appliances on the go. Manufactured with the best quality parts and professional customer service for end-users. Dimensions: 9.4" x 2.8" x 4.7"
With 18 Months Warranty and Provide Friendly, Easy-to-Reach Support. For DC 12V car only, no applied to DC 24V. It's recommended to use the car cigarette lighter (provided by yourself)when electrical appliances less than 150W and connect to the battery directly when less than 300W. It's normal for the inverter to become warm while you are using it. Avoid placing the inverter in direct sunlight or next to heat-sensitive materials.